You know how much I love getting something for free and figuring out a way to fix it up into something pretty or useful. I’m always stopping by the paint department of my local hardware store, and every time I buy a can of paint, it comes with a small stack of paint stirring sticks. One day it dawned on me that those paint sticks gathering dust in my garage were actually pre-cut and pre-measured pieces of free, quality wood, and a world of possibilities opened up before me! I’ve since used those paint sticks to organize my kitchen and my jewelry. 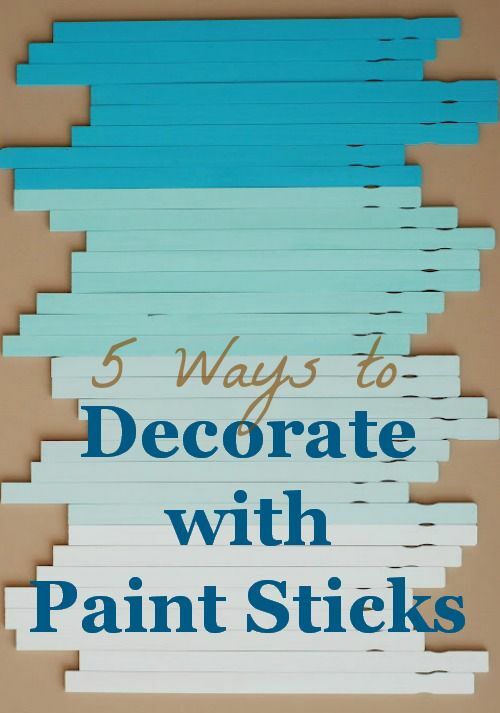 I’m not the only one who has figured out that paint sticks = free craft supplies. Check out these five other creative uses..